At Apex Medical Professionals, the team, brings over 30 years of combined experience in diagnosing, testing, and treating the Fair Lawn, New Jersey, community for various internal health issues and aesthetic procedures. All testing and services are done in the lab-equipped office with a friendly staff and state-of-the-art equipment, allowing for a complete and comprehensive approach to health care services that deliver the most satisfying patient experience with the highest-quality results. Some of the in-office procedures include sleep studies, retinal screening, blood pressure monitoring, glucose monitoring, EKG, spirometry, Holter monitoring, hearing tests, and allergy tests. Nebulizer treatments are also available, and there is a wide array of immunizations for patients 18 and older. Apex Medical Professionals also stands out for offering vitamin IV infusions for certain medical conditions, including dehydration, autoimmune diseases, immune support, sports recovery, and accelerated recovery from the flu and other viruses. All infusions are individually customized to each patient’s particular needs and medical profile. In addition to internal medicine, the team at Apex Medical Professionals is also highly skilled with aesthetic procedures such as Botox® and dermal fillers, both of which are offered in-office. 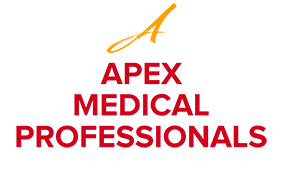 With such a wide range of services and testing capabilities and a staff that takes the time to diagnose and treat with depth and care, Apex Medical Professionals ensures that its patients get health that is consistent, comprehensive, and exceptional. "I would highly recommend Dr. Batarseh to anyone who needs a physician. He is very professional, and has excellent bedside manner." "I would rate my visit as excellent. I will highly recommend Dr. Batarseh as a physician." "Dr. Batarseh is a very well-rounded physician. He answered all of my questions and was very professional." "Dr. Batarseh is an amazing doctor. I was seen right away, and I would highly recommend him as a doctor." "Great doctor! Very supportive and knows how to handle all different kinds of problems. Best doctor I've ever had and can go to him for anything!" "Dr. Batarseh is an excellent doctor. He is skilled and knowledgeable and takes the time to know me as a patient and to care enough to ask all important questions." "I was so lucky to find Dr. Bataresh. He was recommended by a friend in the medical field. He is very compassionate and intelligent. A true gem among doctors!" "Dr. Batarseh is an excellent doctor. My whole family goes to him and we all find him very knowledgeable and understanding."